Nebuchadnezzar II (ruled 604-562 BC), the second king of the Neo-Babylonian Empire, most commonly known just as “Nebuchadnezzar” in modern times, is one of the most important but also one of the most misunderstood leaders of the ancient world. Depicted as wantonly cruel in the Old Testament, it is a historical fact that he was responsible for taking the Kingdom of Judah into captivity and destroying the Solomonic Temple. With that said, Nebuchadnezzar II’s leadership style, policies, and tactics differed little from those of other notable kings in the same era. Once one cuts through some of the hyperbole surrounding Nebuchadnezzar II, it quickly becomes evident that he affected the ancient Near East in several, profound ways. Under Nebuchadnezzar II, Babylon once again became one of the greatest cities in the ancient world. 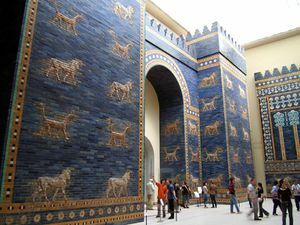 It had languished for centuries under Assyrian rule, but under Nebuchadnezzar II and the other Neo-Babylonian kings it became the center of a new and vibrant empire. Much of how Nebuchadnezzar II brought Babylon back to greatness was through conquest of other kingdoms, such as Judah, but he also embarked on an ambitious building program that made his city the envy of the ancient world. The Neo-Babylonian Dynasty came to life through struggle and strife with its northern neighbor, Assyria. 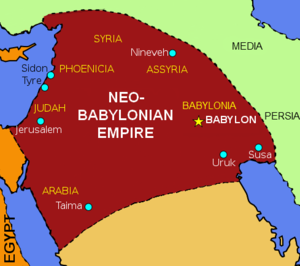 Babylon had long been the object of desire for many of the empires of the Near East and had been sacked by the Hittites and Elamites before the Assyrians placed the city directly under their control from 705-627 BC. 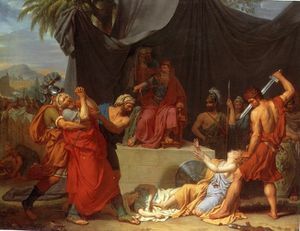 Babylonian primary sources depict Assyrian rule as odious and oppressive, with the Assyrian King Sennacherib (ruled 704-681 BC) being seen as particularly cruel. Sennacherib was said to have let the temples fall into ruin and even removed the sacred cult statue of Marduk, the patron god of Babylon, to Assyria. Eventually, though, the Assyrians overextended their empire, which allowed the Babylonians to form an alliance with the Medes and to overthrow Assyrian rule. Not long after Nebuchadnezzar II became the king, he marched with his army back into the Levant to assert Babylonian supremacy in the region. According to the primary text known as the “Babylonian Chronicle,” the campaign was done for punitive reasons and as a show of strength to any city thinking of either going to Egypt for support or asserting their independence. Babylon’s reasserted presence in the Levant under Nebuchadnezzar II did not sit well with Egypt, which had its own imperial ambitions in the region. Seeking to establish a foothold in the Levant, the Egyptians aligned with Judah, setting the stage for one final, decisive battle between the Egyptians and Babylonians. In 605 BC, the Babylonian army led by Nebuchadnezzar II defeated the combined Egyptian-Judah army of pharaoh Nekau II (ruled 610-595 BC), making the Judah and its king, Jehoiakim, a vassal of Babylon. Jehoiakim played the role of a loyal vassal, but his two successors were not so appeasing toward Nebuchadnezzar II, which led to disastrous consequences for Judah as documented in both the Bible and Babylonian sources. After Jehoiakim died in 597 BC, his son, Jehoiachin, became the king of Judah at age eighteen. According to II Kings 24:10-16, Jehoiachin and thousands of other Judeans were taken into captivity by Nebuchadnezzar II. The precise reason why Jehoiachin was removed is never clarified, but the event is corroborated in Babylonian chronicles. The sacking of Jerusalem proved to be a defining moment in the history of Judaism, as important as the Exodus, but it was almost as important in the modern construction of Nebuchadnezzar II’s legacy. For centuries, Western scholars and theologians only knew Nebuchadnezzar II from the Old Testament books of II Kings and Daniel, so he therefore acquired the reputation as a cruel, bloodthirsty despot. Although the events described in II Kings certainly took place, the tactics Nebuchadnezzar II used to pacify rebellious peoples were the same as those employed by other powerful kingdoms of the time. The verses also do not mention how Nebuchadnezzar II brought the city of Babylon back to greatness. In the centuries after the collapse of the Neo-Babylonian Empire, Nebuchadnezzar II’s reputation progressively worsened, thanks in large part to his portrayal in the Old Testament. Although many of the biblical passages that relate to Nebuchadnezzar II are true, especially those in II Kings, the fact remains that he was an extremely important figure in the ancient Near East. Nebuchadnezzar II was a great conqueror who established a Near Eastern empire that was essentially the geographical equivalent of the Assyrian Empire, but perhaps just as important were his building activities. Through his ambitious building program, the Babylonian king made sure that his city would once again become one of the greatest in the ancient world and that even more than 2,000 years later people would still view some of those monuments with awe.